First meeting after online affair ! 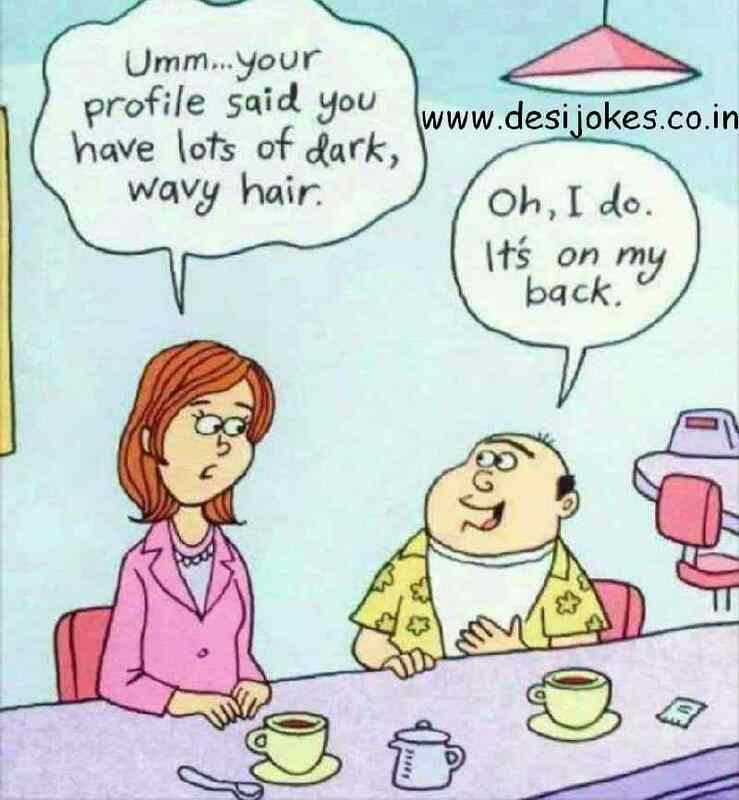 Girl : Umm... your profile said you have lots of dark, wavy hair. Boy : Oh, I do. Its on my Back.